The first table we will be looking at is the TRIPDATA table. The TRIPDATA table contains information about the recorded bike trips on September 1, 2015. It includes information such as the start and end time of each trip, as well as the start and end location (station) of the trip. The type of customer (annual vs. 30-day) and the customer's residential zip code are also provided. 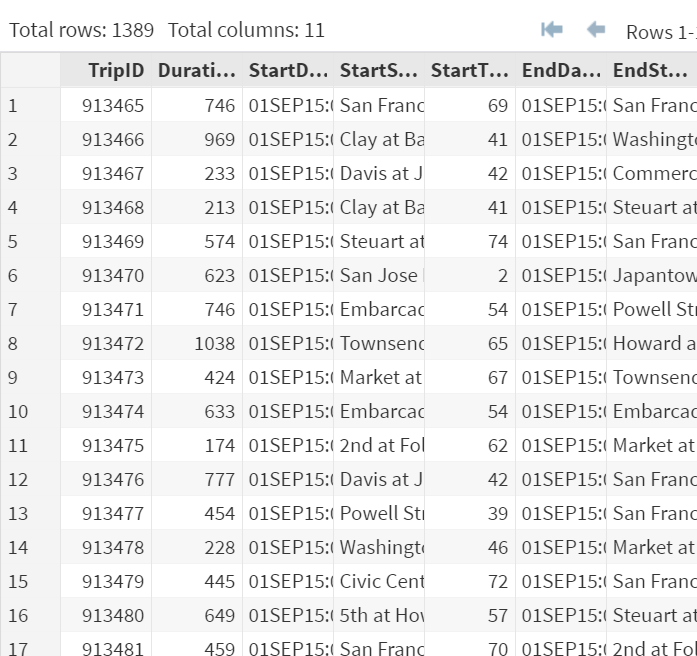 The Total # of rows is 1389 with 15 columns.